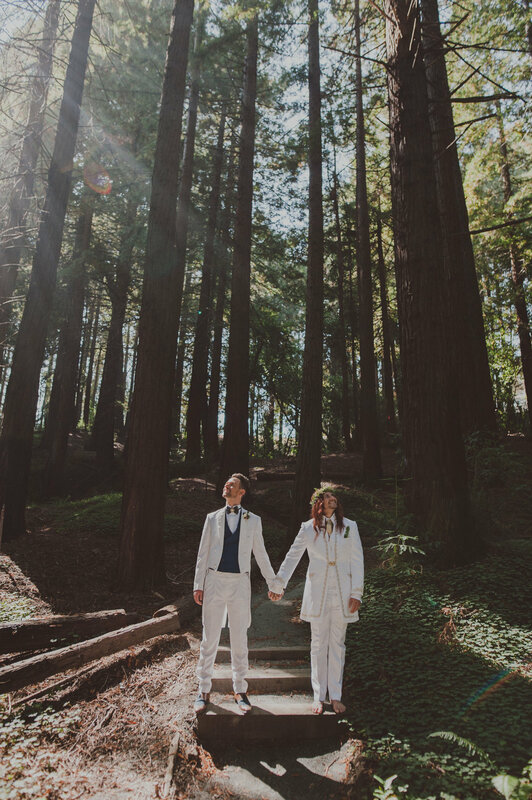 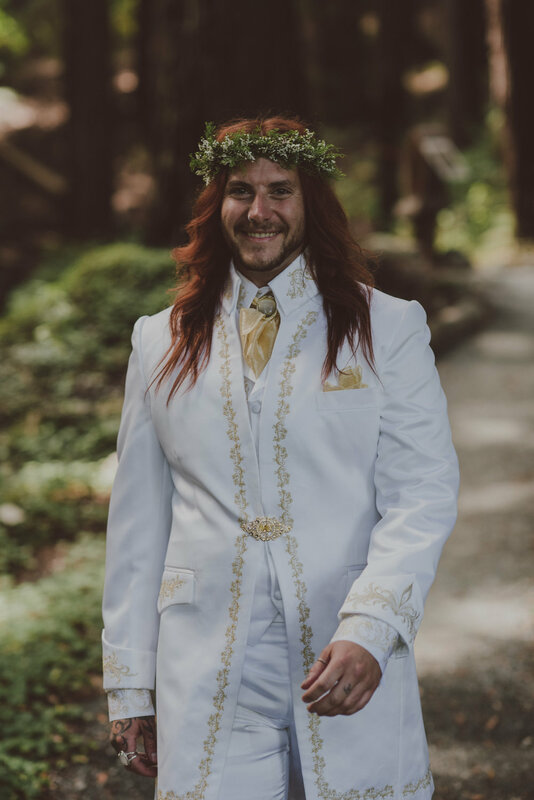 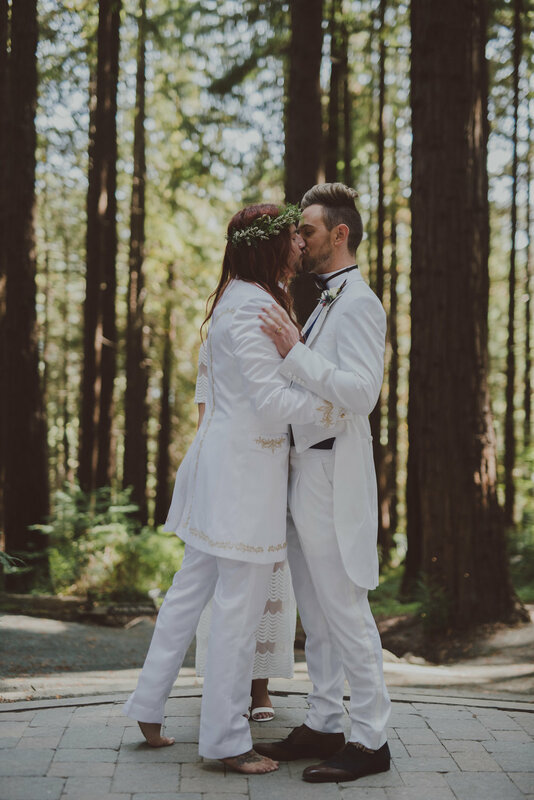 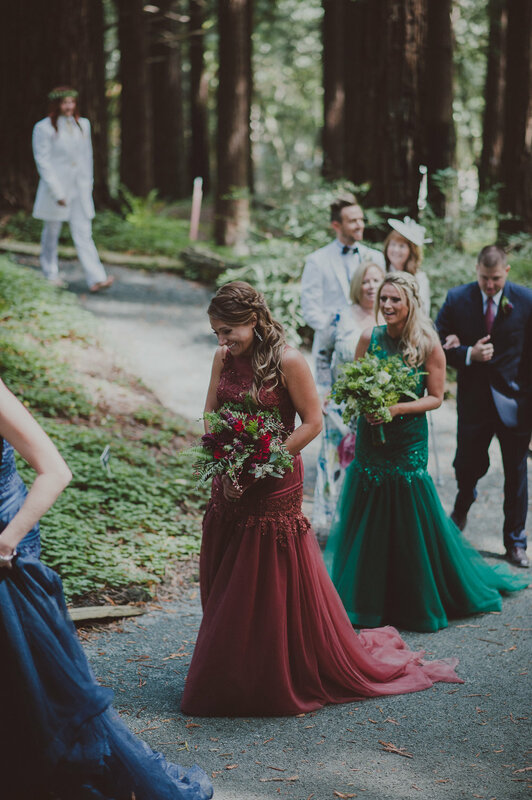 The UC Berkeley Botanical Gardens is an enchanting woodsy wonderland with it's towering redwoods and shaded forest floor it was the perfect place for Mark & Philip to say I do! 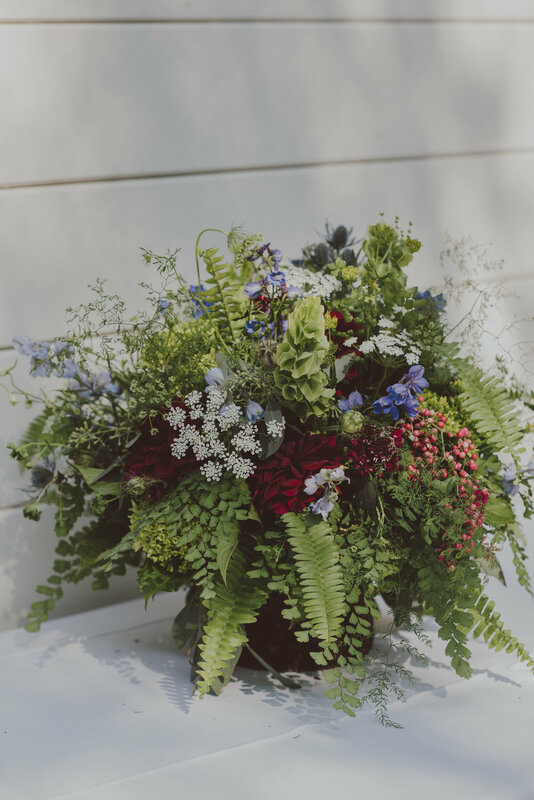 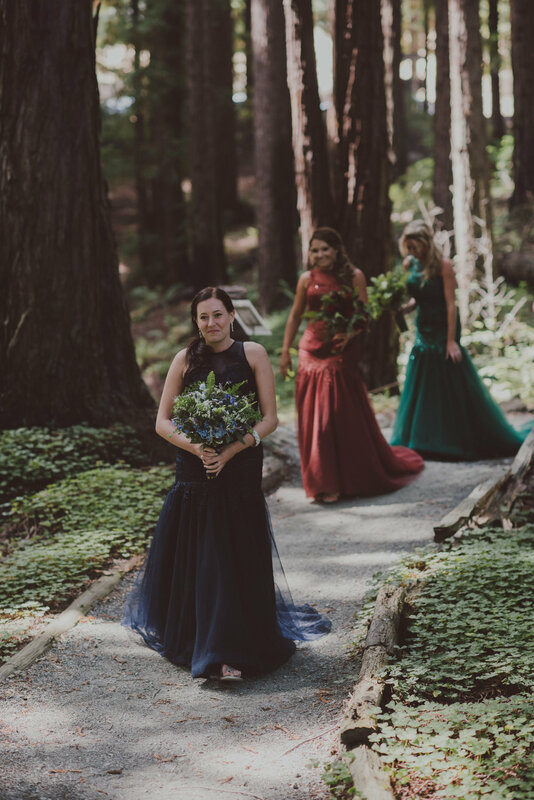 This couple had delightful ideas for their magical wedding, wild flower bouquets, moss and woodsy elements, deep forest greens, rich scarlet reds, and deep navy blue made this day truly special and unique. 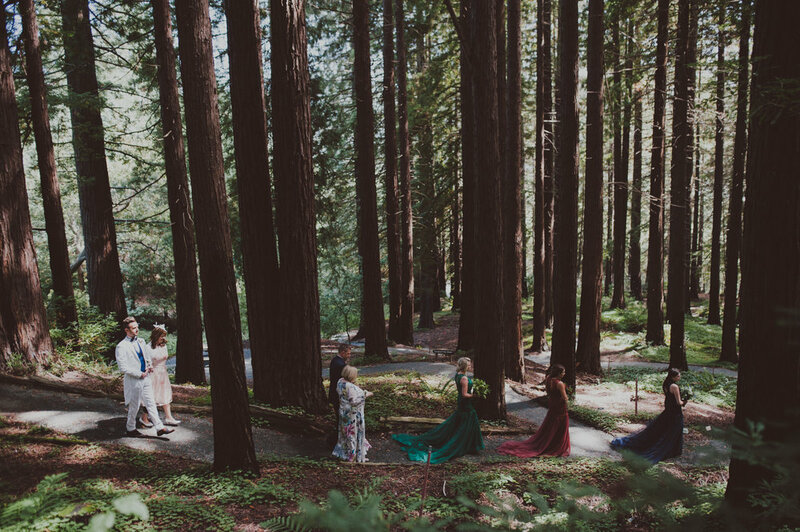 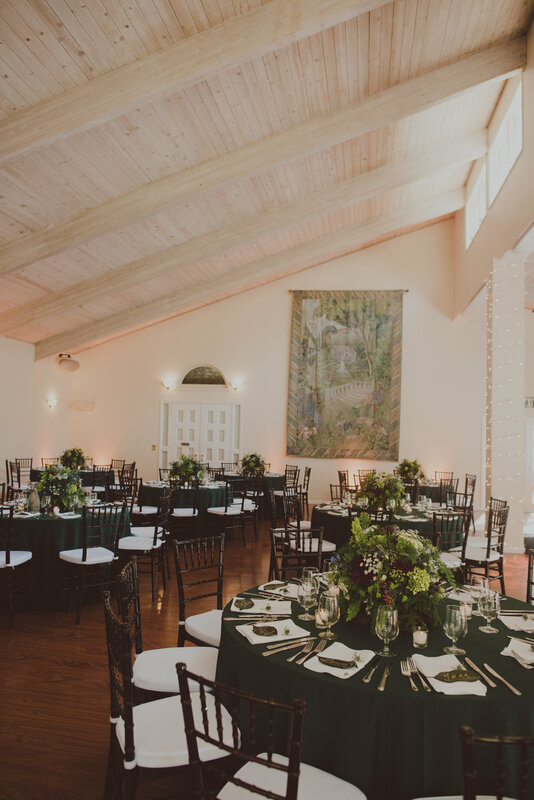 Their reception held at Elliston Vineyards in Sunol was a lovely transition from the redwood grove of the botanical gardens to the wooded vineyard winery. 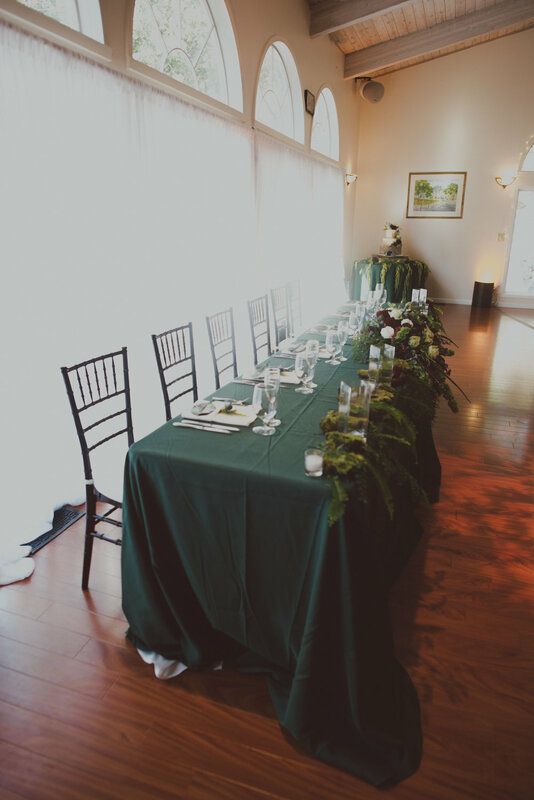 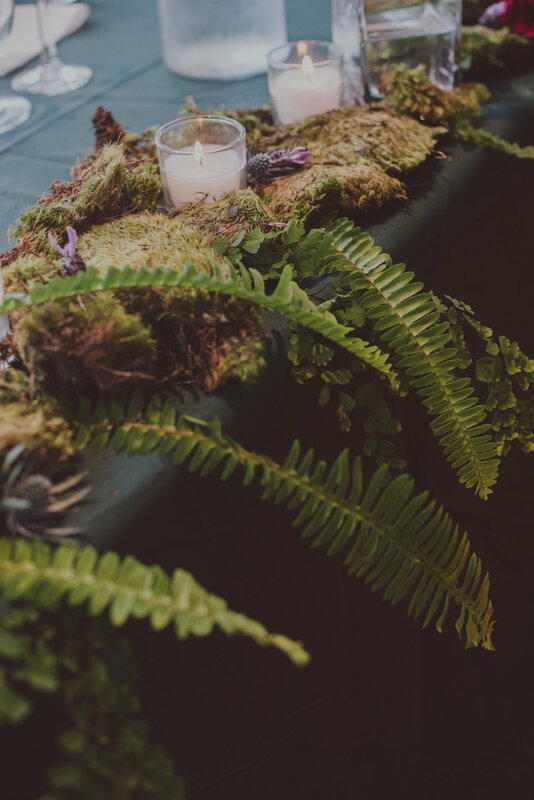 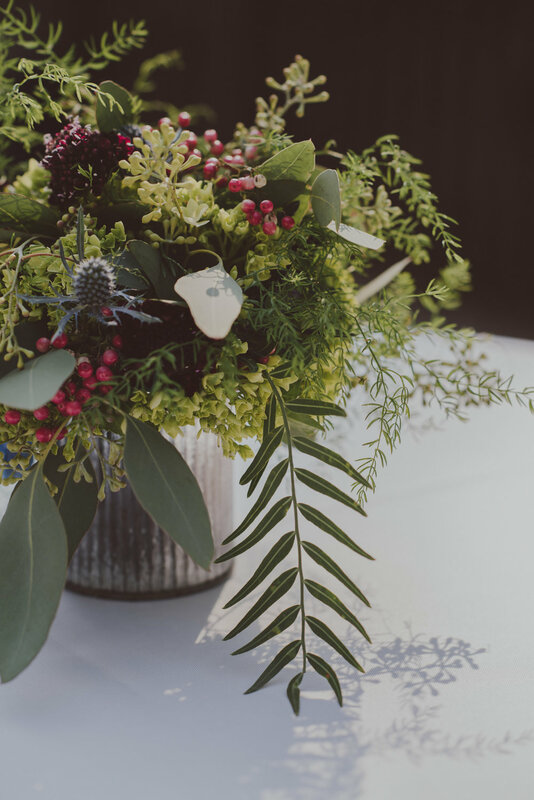 The tables had lush woodsy arrangements over flowing with ferns, moss, and wild flowers while the stunning cake by Cake Delight was dripping with an enchanted forest vibe. 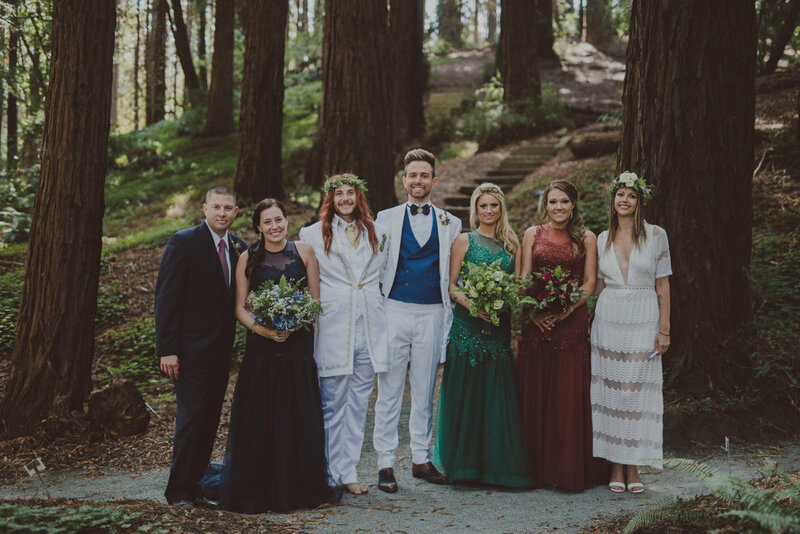 We are thrilled to have been apart of this fun and handsome couples special day! 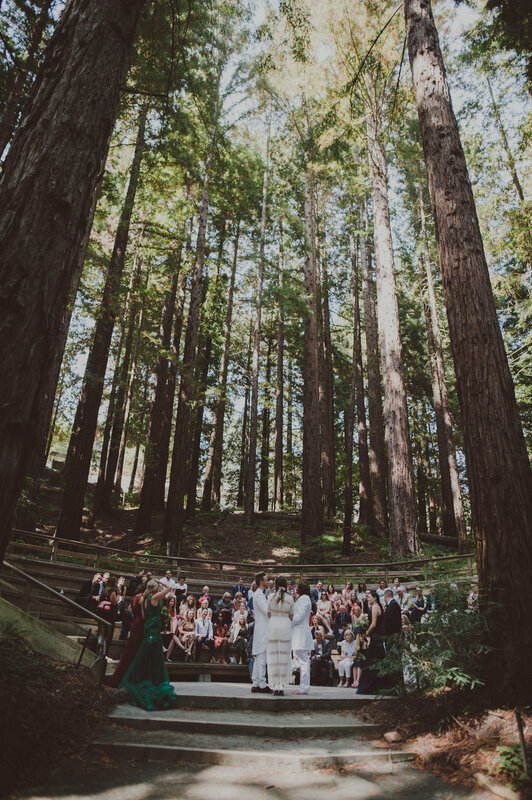 This amazing day was beautifully captured by Love and Wolves Co.